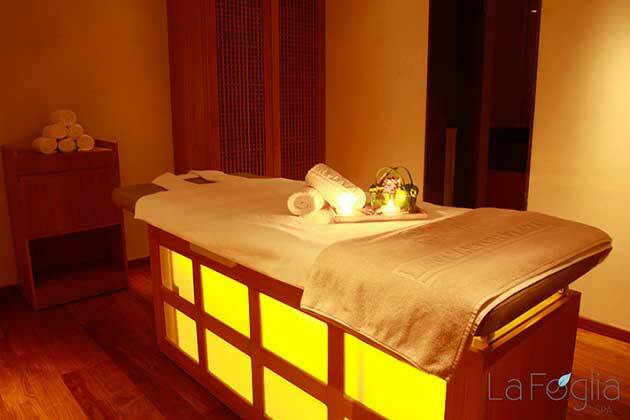 Aim for a more balanced body and mind and refresh your senses in a serene environment at La Foglia Health Club & Spa. Rejuvenate, unwind and rebalance with customized packages and treatments. Every guest will find a sublime range of treatments and will complete the experience by relaxing in the steam room, sauna, Jacuzzi, fitness center and diving into the spring water of the indoor swimming pool. Our cutting edge fitness studio offers a large range of advanced cardio-vascular and resistance equipments by Life Fitness. Below are various available membership plans and tailor-made personal training sessions.